Police and other emergency services professionals will appreciate the enhanced coverage and excep.. 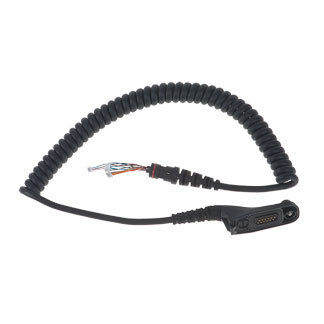 Replacement cable for remote speaker microphone models PMMN4024 and PMMN4040. .. 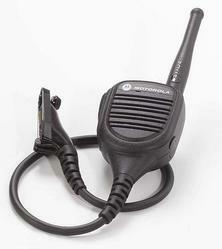 This public safety speaker microphone includes a 30-inch straight cord assembly, 3.5mm audio jack.. This product is a Visor Microphone for use with external Push-to-Talk accessories; microphone mou..
Includes an antenna for increased coverage, 3.5mm audio jack for discreteness, volume switch for ..
IMPRES Remote Speaker Microphone with Volume - Submersible (IP57) - Intrinsically Safe (FM) .. Replacement coil cord for Remote Speaker Microphone part numbers, PMMN4025, PMMN4046, and PMMN405..
Officers on a high-speed car chase, border patrol agents on high alert. During times of danger, d..
(Antenna sold separately - PMAE4046, PMAE4047, PMAD4087, PMAD4086 - Listed within Antenna section..
Our public safety microphones come in several versions to fit your circumstances. This UHF model .. This product is a Replacement Microphone Cable with Manual. .. 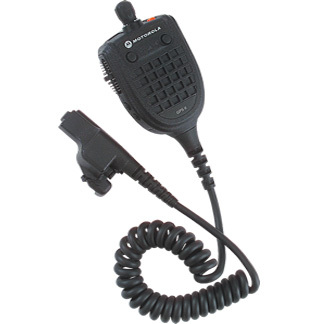 This public safety speaker microphones includes an 18-inch straight cord assembly, 3.5mm earjack,..